Carl Frampton has heaped praise on MTK Global after securing a colossal deal with US boxing giants Top Rank and ESPN. Belfast’s two-weight world champion (26-2-KO15) was in New York to watch MTK Global team-mate Michael Conlan beat Ruben Garcia Hernandez on St Patrick’s Day as news broke. Frampton told iFL TV: “I’ve done a deal through MTK Global with Top Rank and ESPN and it’s massive for me personally. It’s huge and I’m very, very excited for it. “It’s an amazing deal. Talking financially, if you got this deal coming off the back of win, you’d be very happy with it but coming off a loss, credit to MTK Global. “I think it’s insane coming off a loss. At one point a few months ago, I was genuinely thinking about retiring. “It’s been in discussion for a number of weeks and we’ve done well to keep it quiet. There was a little bit of talk about it online but I’ve kept it very quiet. “It gives me a big opportunity to get back. I believe I can win a world title. There’s more of a chance of that happening now than there was six weeks ago. 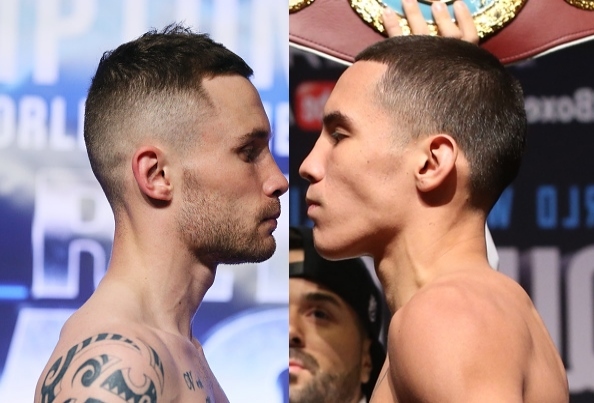 Frampton, who unified super-bantamweight world titles before dethroning Leo Santa Cruz on his first outing as a featherweight, was defeated by Josh Warrington on points in a classic world title fight back in December. GREAT FREAKING FIGHT! OV is a beast and CF shows up to fight! Please bring fight carso! Saludos Cd Obregon sonora! Can't remember the last time Framps dazzled in the ring. I really liked him when he was putting on good shows but the eye of the tiger seems to have gone in recent fights. What's happened to Quigg? Him and Frampton should have a rematch with the winner fighting Valdez.